If you’re reading this, it means you have weathered the proverbial storm that was (is) my life and are anxiously awaiting new recipes. Believe me, I have some for you. It’s quite suddenly cold outside and, as everyone knows, that means it’s soup weather inside. 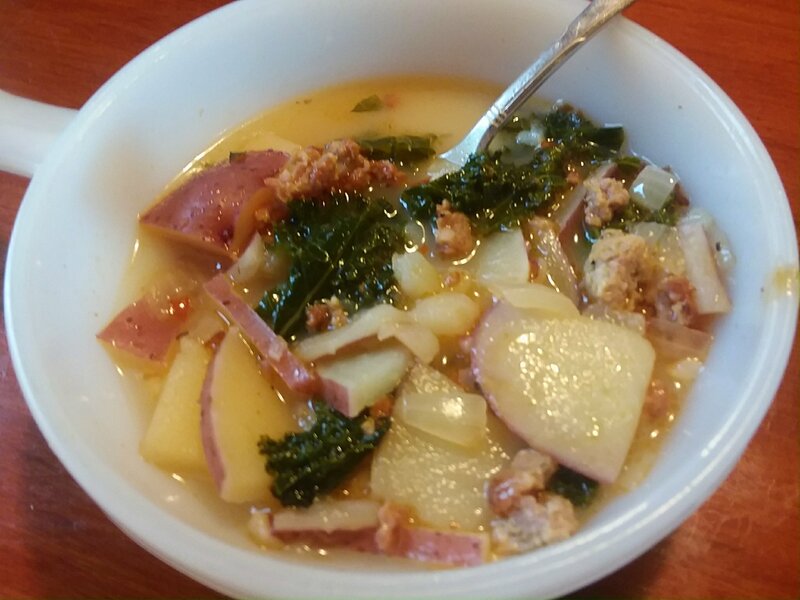 Zuppa Tuscana literally means, a soup in the style of Tuscany, a place famous for its rustic and delicious simplicity. Whatever you do, don’t go to Olive Garden. Ever. Just don’t. Make the food you love at home and it will be a hundred times better. I promise. 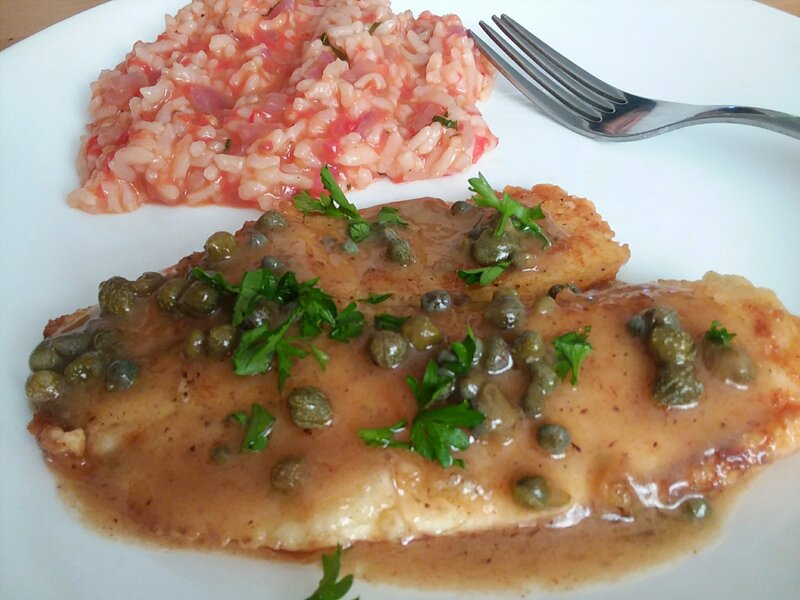 Yes, fish piccata. Quick and easy, crispy yet saucy. Even though we cook fish for dinner once a week, it remains, in my mind, some sort of large chore. Let’s cook some fish. It’s good for us and not a huge chore at all, I promise. Southwest. Tex-mex. Whatever you want to call it, it’s always delicious. 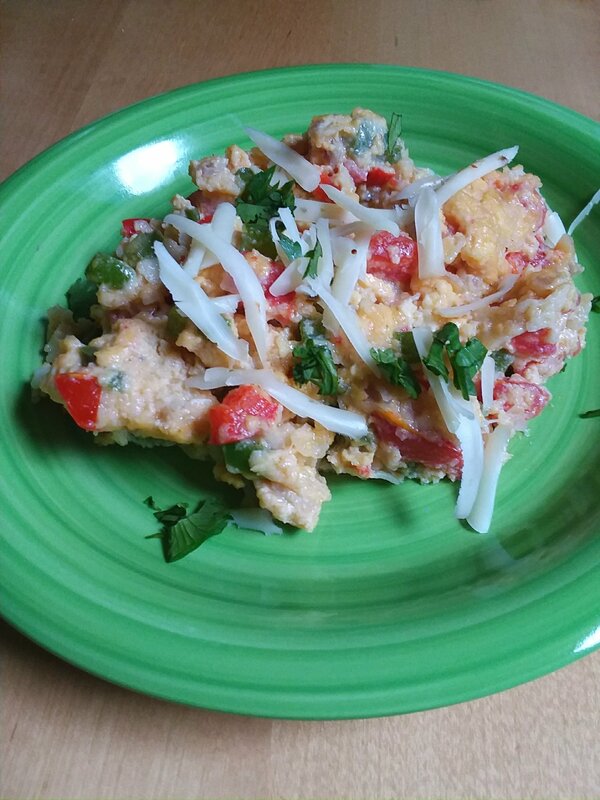 Migas, if you’ve never had it before, is an egg dish centered around corn tortillas. Perfect for those leftover corn tortillas that sit in the fridge for weeks after taco night. That’s what happens at my house anyway.